Missed the live webinar? Get the recording! Click the purchase now button below and get immediate access to the recording. Are you managing work, or is work managing you? 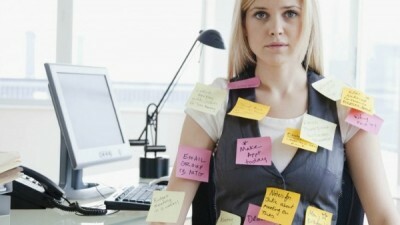 Are you feeling overloaded with tasks, duties and never-ending projects? Do you feel like you’re always in meetings, constantly interrupted, stressed and stretched to the max and can never get ahead on your goals and priorities? Creative Ways to Manage Email and More! Our 60-Minute live webinar will be held on Wednesday, June 17th at 12:00 p.m. Central time. You will receive an email with instructions for watching live via Adobe Connect, or calling in and downloading the webinar workbook. Join us and managers across the world for this high-energy interactive webinar experience. You can invite unlimited team members to watch and listen in at your location site, using a single phone line and one computer. You will also receive a webinar workbook to download. You can share this webinar with additional team members after the event since you will have unlimited sharing rights for 30 days. If you need help with purchasing, please call 1.888.369.1339. How do live webinars and webinar recordings work?